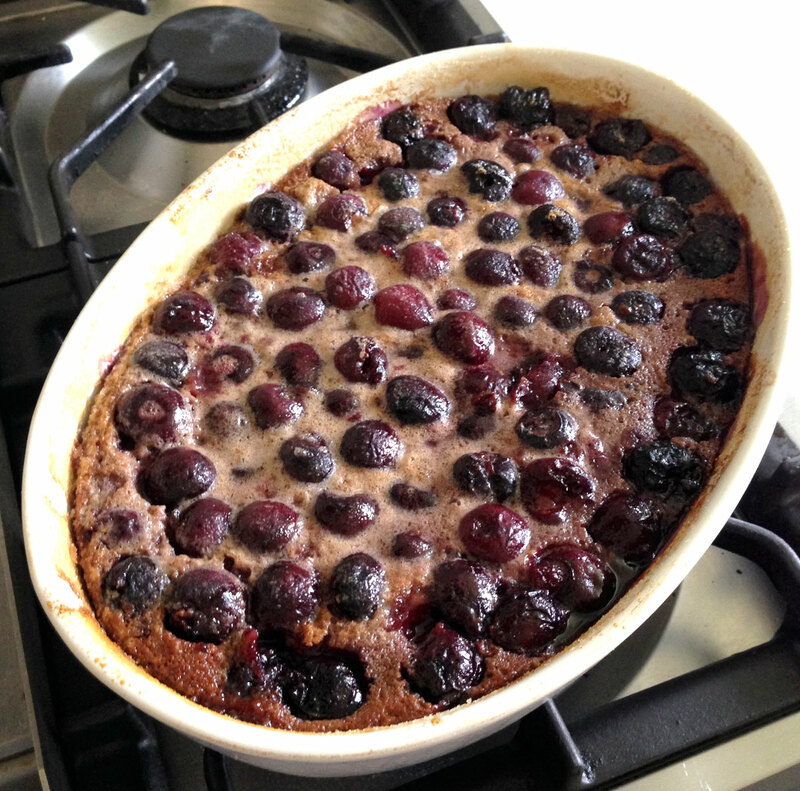 A recipe for a very simple, tender cherry clafoutis with browned butter. No nuts or other additions. 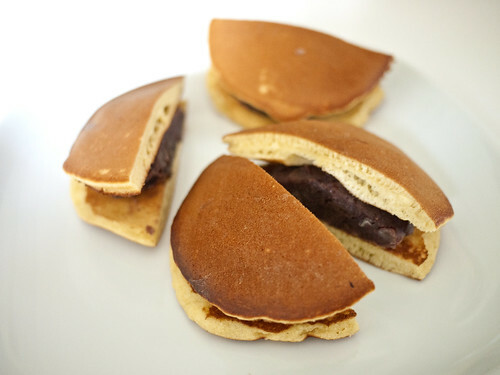 When I wrote about dorayaki, the sweet pancake-sandwich that is cat-robot Doraemon's favorite snack for the Japan Times back in October, I promised to post a recipe for making the little pancakes. Well finally here it is! 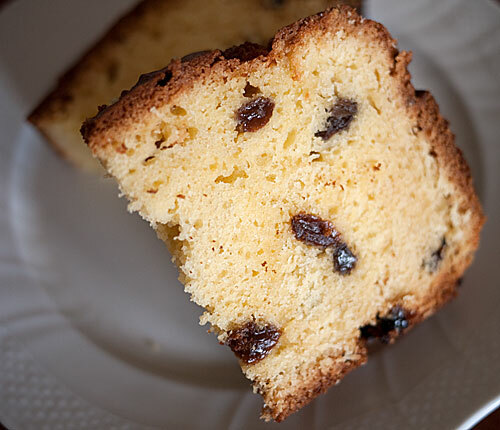 A recipe for a very simple yet delicious cake, suitable for the holidays or any time of the year. Since last year, there has been a craze for something called nama kyarameru (生キャラメル, raw caramel) in Japan. The demand has been so great that people form long lines to buy it, and at least at the beginning of the fad there were frequent reports of sell-outs and long waiting lists. 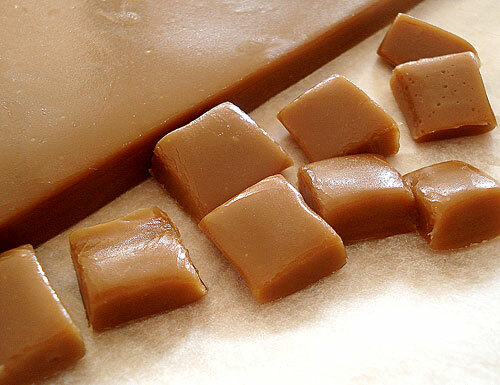 Raw caramel means meltingly soft caramel candies that have been made with fresh milk, fresh butter, and no additives. It's been a great marketing ploy for some dairy farmers in Hokkaido. Given that getting nama kyarameru from Hokkaido is not that easy for me, and believing firmly in the superiority of Swiss dairy products, I set about to make my own version. After many attempts, here is my version of raw caramel. 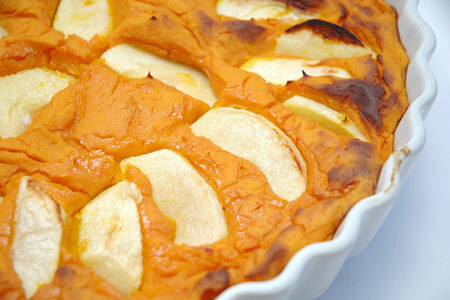 They have a very slight fermented-sourness from the crème fraîche, and the pure salt flavor from the fleur de sel. And the sugar component is made richer by using golden syrup. I have a feeling I will never buy caramel candies again. 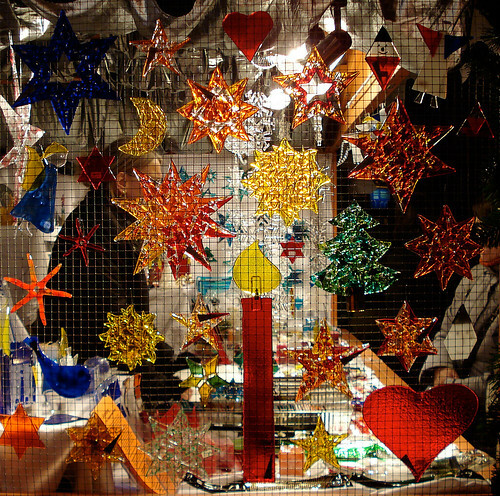 Some spun-sugar candy Christmas ornaments being sold at the Christmas market in Zürich. Have a great weekend! I'll be off exploring more Christmas markets over the weekend. The seven days centered around the bi-annual days of the vernal equinox is a Buddhist festival period known as higan (or o-higan for the honorific term) in Japan. The fall (autumn) higan is aki no higan, and the spring higan is haru no higan. 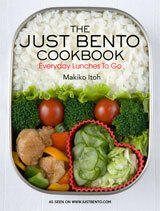 Since the day of the spring equinox is March 21, we're about to enter the haru no ohigan period. During haru no higan, a sweet confection called botamochi is eaten. 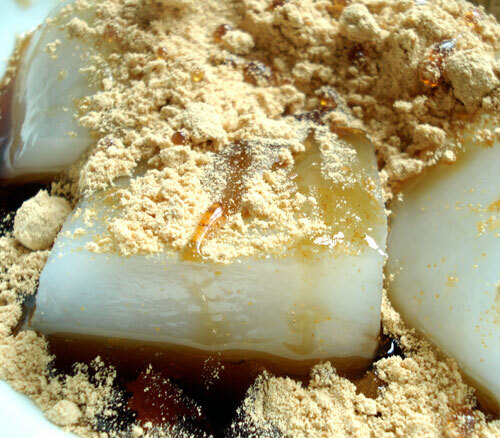 The mochi part means sticky, pounded rice, and the bota part comes from botan, or the tree peony. Botamochi is supposed to ressemble a tree peony flower. During the autumn equinox (aki no higan or simply (o)higan)) period, a very similar confection called ohagi is eaten. This is supposed to look like a hagi or bush clover flower (Latin: Lespedeza thunbergii). Botamochi and o-hagi look the same to me, even though a hagi flower looks nothing like a tree peony flower, but the good old ancestors were probably a lot more imaginative than I am. 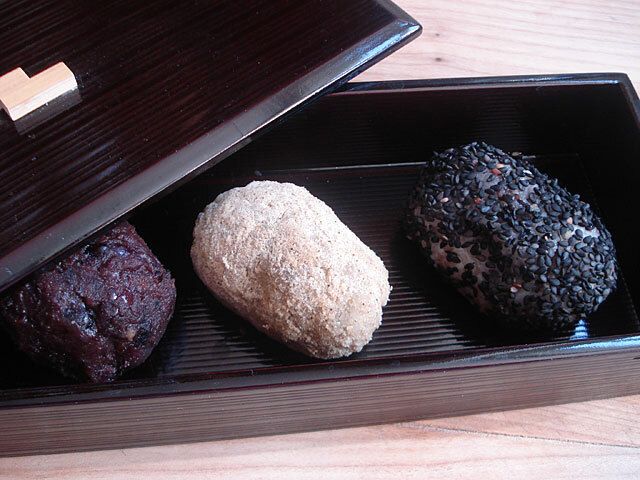 Botamochi and o-hagi are made of sticky rice and sweet tsubuan, 'chunky-style' sweet azuki bean paste. They are a bit fiddly to make but not difficult, especially if you use one of my favorite cooking helpers, plastic cling film. Since these are best eaten freshly made, it's well worth the effort to make them at home if you like bean-based Japanese sweets. You can adjust the amount of sugar in the tsubuan to your taste. 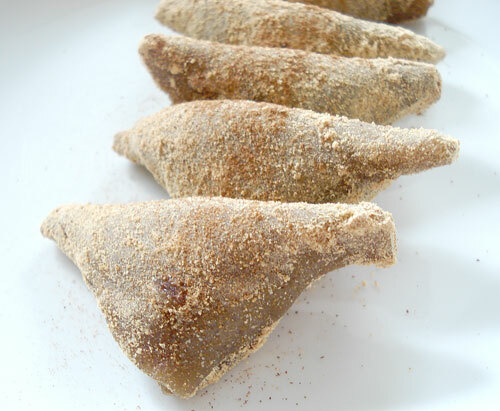 Here I have made three variations: coated with black sesame seeds; coated with kinako (toasted soy bean powder); and the most traditional form with the rice cake wrapped in a layer of the tsubuan. Just about anyone who takes a trip to the historical city of Kyoto goes home bearing a box of yatsuhashi　（八つ橋）, a small delicate sweet that is flavored with nikki or cinnamon. While I am not from Kyoto, I get a fit of nostalgia for yatsuhashi on occasion. Fortunately they aren't that hard to make at home. 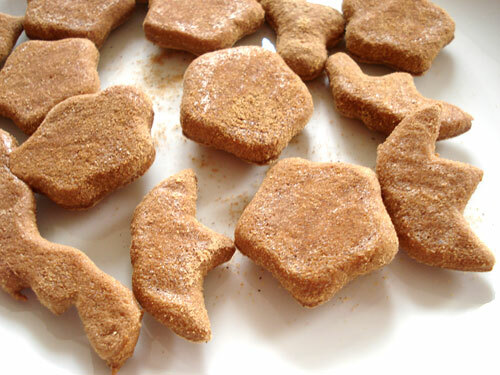 Added bonuses: they are more or less fat free, gluten-free, and vegan! Since watching the '70s edition of The Supersizers last week, I've been on a bit of a nostalgia kick. I was lucky (or unlucky, depending on the perspective) enough to have spend my '70s childhood in three countries due to my father's job--England, the U.S. and Japan. I have fond memories of food, especially sweet snacks and candy, from all three places, my tastes have changed so much as and adult that I can't stand many of them anymore. 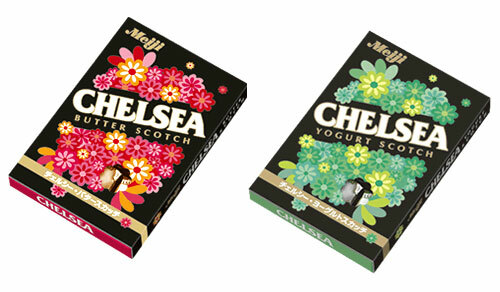 The one sweet from that era that I still love is Meiji Chelsea butterscotch candy.